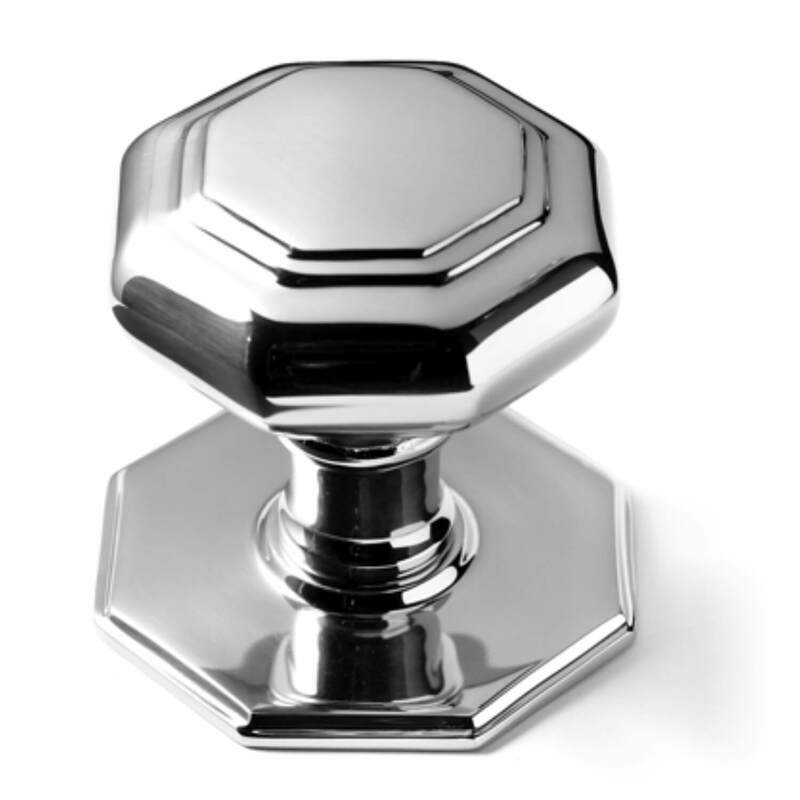 Classically designed octagonal door knob in glossy chrome. Made of the finest materials with a combination of exelent craftmanship and the latest technology. It have been through a high-quality plating process to ensure the flawless finish.